This book comprises the proceedings of the international conference Shaking the Foundations of Geo-engineering Education (NUI Galway, Ireland, 4-6 July 2012), a major initiative of the International Society of Soil Mechanics and Geotechnical Engineering (ISSMGE) Technical Committee (TC306) on Geo-engineering Education. SFGE 2012 has been carefully crafted to showcase a diversity of effective and engaging approaches to geo-engineering education while raising awareness of how crucial this effort is to the future development of the engineering profession. • What topics should be taught in geo-engineering courses? What should geotechnical professionals be able to do? What topics should be taught in geo-engineering courses? "…this book should be seen as a source of reference information and a reminder of what can be done — the difficult bits can be tackled when needed. Each chapter ends with a collection of problems for the reader to solve. Many of these ask for the derivation of equations that have been merely stated in the preceding text. The book ends with a collection of potted biographies of some 82 scientists and engineers who have in some way contributed to the analysis or modelling of geomaterials. Some are still living — others come from across the past 400 years. The author suggests that it is inspiring to learn a little of the human and social context within which developments in applied mechanics have taken place." 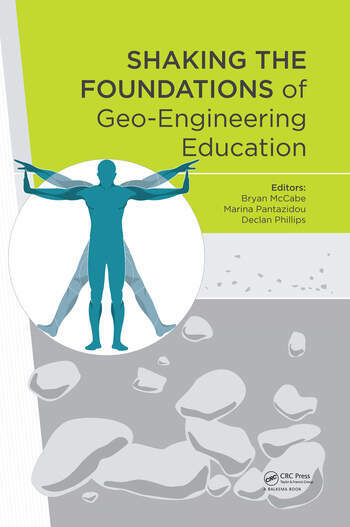 "This book is strongly recommended for its wide-ranging discussion on all aspects of geotechnical engineering education."